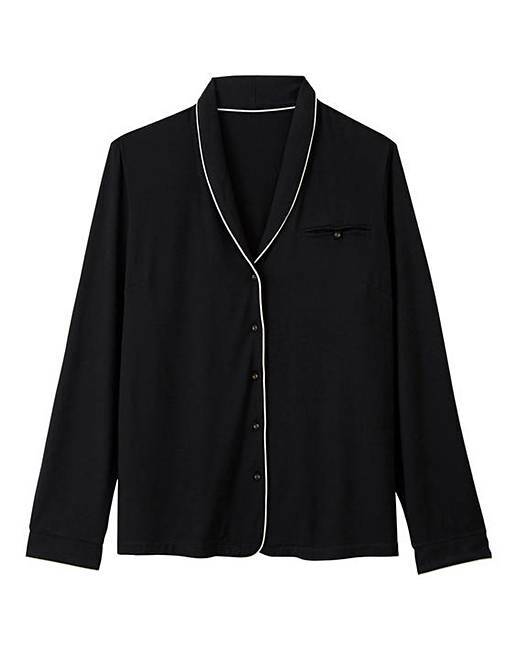 Figleaves Curve Modal Button Up PJ Set is rated 4.3 out of 5 by 3. Introducing the luxury modal range from Figleaves Curve. This super-soft PJ set is the ultimate nightwear piece. 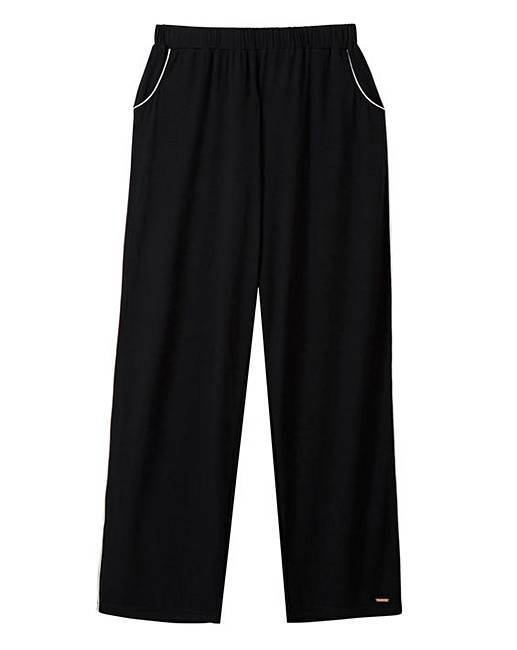 Featuring full length Black button through top and black super-soft pants. 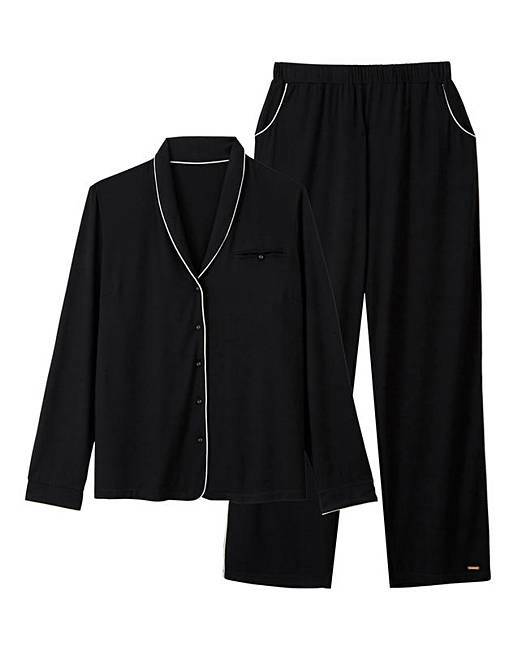 This Black PJ set is complimented with white piping & signature Figleaves Curve rose gold tabs. Rated 5 out of 5 by Rachel45 from Lovely, great quality Treated myself for Christmas, look lovely and really comfy.